Egypt and Art > Tour Map of Egypt > Tour Kom Ombo Directory > Approaching Kom Ombo. 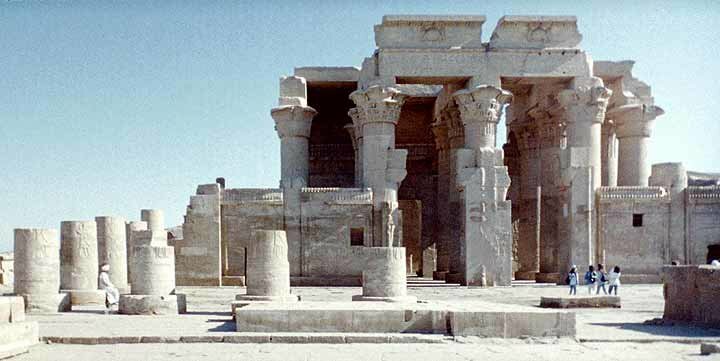 The temple of Kom Ombo was a cult center of two gods. The northern section was dedicated to the god Haroeris (Horus the Elder). While the southern portion of the temple was the cult center of the crocodile god Sobek.